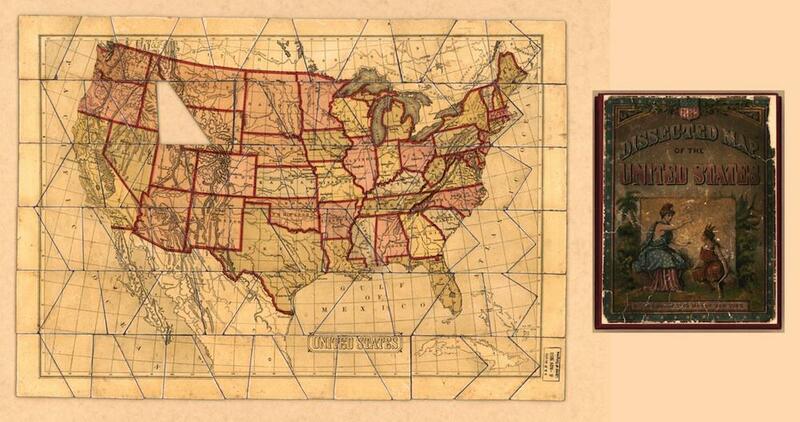 History of puzzles: Maps used to teach geography in the 19th century. The Library of Congress has recently digitized a group of puzzle maps dating from the late 18th to the early 20th century. These “dissected maps” were the first generation of jigsaw puzzles; following the latest educational theories of the time, they were sold as tools to make learning fun. After Spilsbury’s death in 1769, as many as 20 mapmakers in London began selling dissected maps for educational purposes. Cartographers and game manufacturers in France, Germany, the Netherlands, and the United States all contributed their own offerings. As the 19th century progressed and new coloring and cutting methods streamlined the manufacturing process, puzzle maps declined in cost and became more accessible to the general public. The Library of Congress puzzle maps were scanned as assembled wholes, sometimes with their box covers alongside. As might be expected, some are missing pieces. The 1900 map of the United States lacks a triangular bit of its Montana, Wyoming, and Idaho; the 1812 map of Europe lost its Italy somewhere along the way. Click on the images below to reach zoomable versions, or visit the maps’ page on the Library of Congress website. 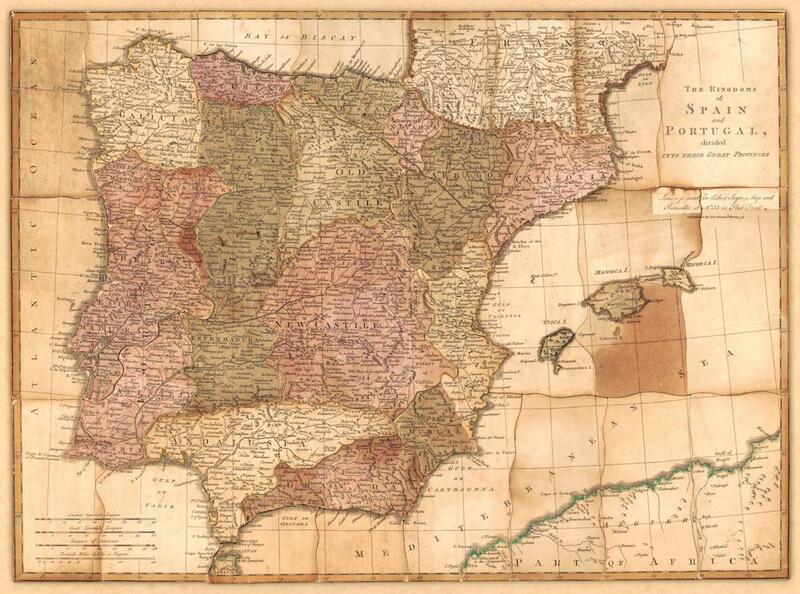 “The kingdoms of Spain and Portugal, divided into their great provinces,” Robert Sayer, London, 1772. 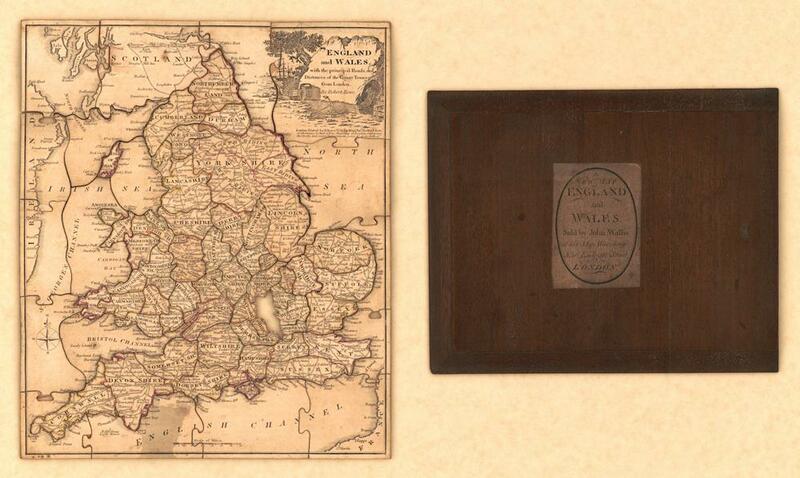 “Wallis’ new and correct map of the post roads of England and Wales,” John Wallis, London, 1798. 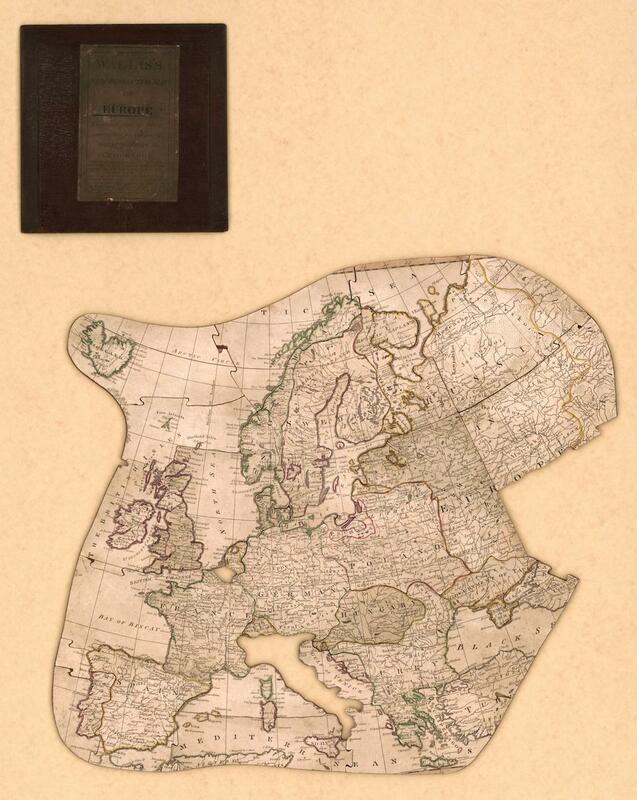 “Improved dissected maps, combining instruction with amusement, Europe,” John Wallis, London, 1812[?]. 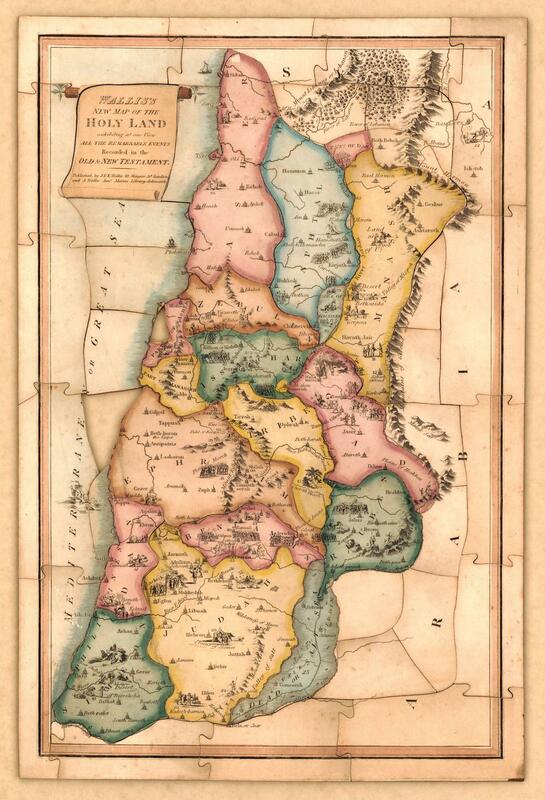 “Wallis’ new map of the Holy Land: exhibiting at one view all the remarkable events recorded in the Old and New Testament,” John Wallis, London, 1815[?]. “World,” Phillip & Tacey Ltd., London, 184-?. “Dissected map of the United States,” McLoughlin Bros, Inc, New York, 1900[? ].